Click to Check Out These Films and More from the American Revolution through WWII. This was a frustratingly long time in coming and I was watching it fairly closely. 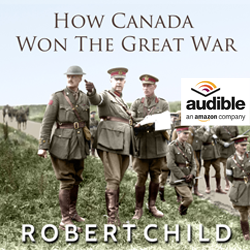 I have a book about Canada's participation in WWI that has sold well on the Sony, Kobo and itunes Canadian sites but Amazon.ca was the lone hold out. America’s Civil War is a landmark in our nation’s history, so it is no surprise that countless documentaries have been created about every facet of the conflict. 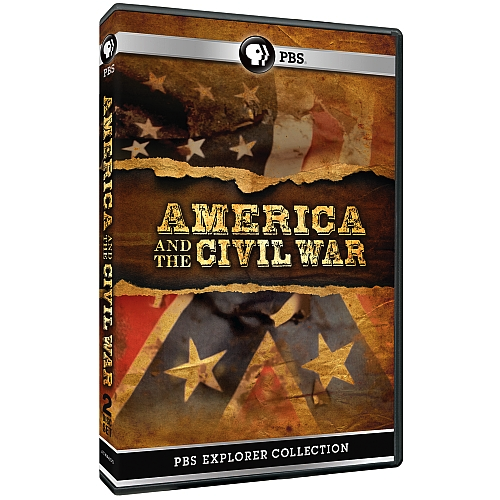 In this 2 disc set from the PBS Explorer Collection, you’ll find five programs that look into specific elements of the Civil War in great detail. Gettysburg: The Boys in Blue & Gray (written and directed by Robert Child) gives an in depth look at the Battle of Gettysburg, from a personal perspective. John Brown’s Holy War deals with the controversial actions of John Brown, including how he was viewed at the time and in the modern era. Lincoln’s Secret Weapon tells the story of the U.S.S. Monitor, a key edge in the war and revisits the ship in the present, as recovery efforts are undertaken. The Massachusetts 54th Colored Infantry reveals the true story behind the regiment portrayed in the film Glory, with a wealth of archival photos to help bring the story to life. Reconstruction: The Second Civil War deals with the trials & tribulations the nation faced as it tried to rebuild after the epic conflict. This is an excellent look at the impacts the Civil War left in it’s wake. I’ve seen a lot of documentaries about the Civil War and to be honest, some just rehash information and visuals from previous programs. America and the Civil War collects five programs that avoid that fate, as each provides an in depth, insightful look at a unique element of the conflict. These topics have been covered in other documentaries, but not with this level of attention and detail, so history buffs should be quite pleased. I found the Reconstruction program to be the highlight, since the fallout of the war isn’t often dealt with in this extensive fashion. The John Brown program is also of high interest, with a focus on how history has looked back on his actions. But all five offered the kind of detailed, polished presentations you’d expect from the acclaimed sources like American Experience and Nova. With almost seven hours of content on tap, America and the Civil War offers a great value that history buffs won’t want to miss. Some episodes are presented in 1.78:1 anamorphic widescreen, while others are shown in full frame. In either case, the episodes are always shown in their intended format, so no concerns there. These programs looks good, about what you’d expect from a non-HD broadcast. The images are clean and sharp, with no digital errors or other concerns present. There is some variance in terms of source, so some elements look better than others, but that’s to be expected with documentaries. Overall, these programs looks good and fans should be satisfied. Some programs feature a Dolby Digital 5.1 soundtrack, while others offer a stereo presentation. These kind of programs don’t need expansive audio, so the sound design is simple, but effective. The narration and interview dialogue tends to be the focus, so vocals are clean and easy to understand. The rest of the audio takes a backseat, but still sounds fine. So not much else we could want from this type of material. The programs also support English subtitles. 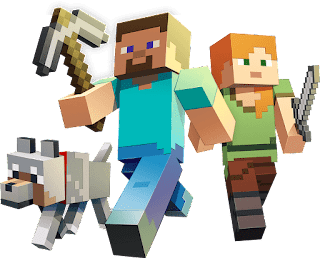 Anyone who has young boys knows that there is a phenomenon happening on Youtube and gaming that in my view is rewriting the rules of content production and delivery. My boys Josh, 9 and Jamie, 7 are Youtube addicts but they are not watching cats play piano or anything like that. They are addicted to a series of videos produced as far as I can tell by a couple of guys in their basement. 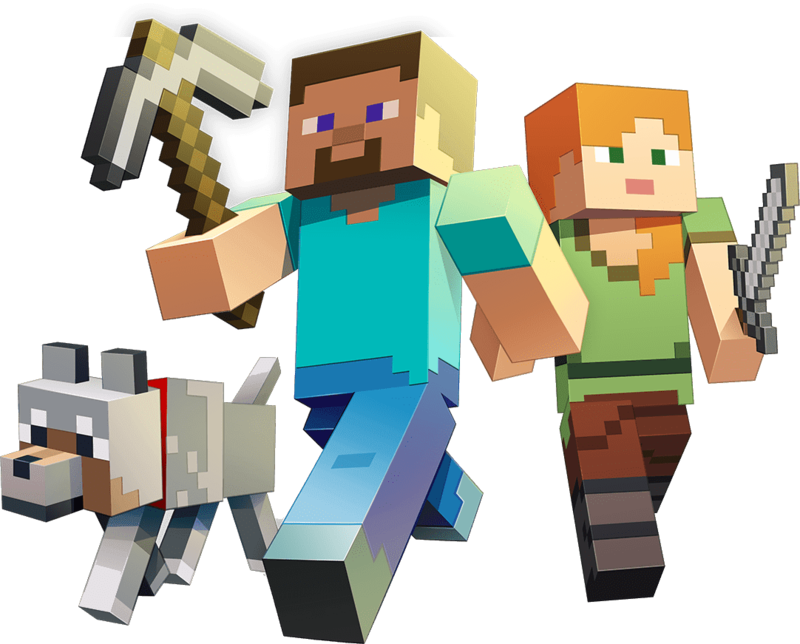 What these guys do is narrate their game play on a game called Minecraft. Josh and Jamie don't actually have the game they just watch these two guys play narrate, joke and sometimes swear. I had a talk with my boys about that when I heard it. They no longer watch television unless they use the Youtube app on my Samsung to watch Minecraft on the big screen. One day I thought I am going to sit down with my guys and find out what this is all about. Within about two minutes I was bored silly but that's not the point. The point is these video are getting hundreds of thousands of hits and they are redefining what we consider to be "entertainment". And this entertainment is happening online and growing right under our collective noses. Why bother any more jumping through flaming hoops to get a movie made. Just find an audience online and deliver them what they want - production values be damned. Now this of course has been coming for a very long time and I believe we have reached the tipping point with online video consumption. DVDs died a very sudden death in 2008 and they ain't coming back. I could see that in the royalties payments for my films they sank like a stone. And even my newer films and the one that is getting the most notice and publicity, The Wereth Eleven, has not moved the units it could have ten years, even five years ago. No we are definitely in the streaming age and thank goodness. Watching a DVD disc in my house has become a frustrating ordeal. First you will find the empty box and then you will locate the heavily scratched silver disc under the couch and hope you can clean it enough to play. Most times it won't. Cable is for all intent and purposes is dead. It is cheaply produced content and unfortunately disposable. This is to be expected as the audience has shrunk drastically. The ad revenue is simply not there to support producing the content/ Streaming, watching Minecraft and other gameplay on Youtube this is what is growing and this is where the future is now. In fact is probably already old news. If you want to explore more Minecraft content I recommend checking out The Top 15+ Minecraft Mods over at Lyncconf. 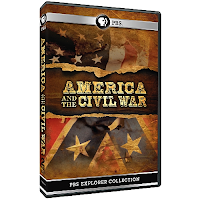 I would like to alert all Civil War enthusiasts to a 2 Disc, Civil War DVD box set that PBS just released which is a perfect gift for the holidays, America And The Civil War. My, Gettysburg The Boys in Blue and Gray, film heads the collection of five signature films from PBS's top series' NOVA and American Experience. If you are going to get just one DVD for the Civil War lover in your life this Christmas this collection would be it. It features over 450 minutes of award winning program material. Note the details below. 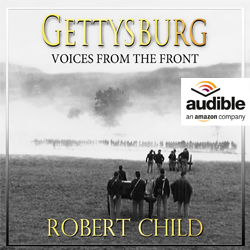 Gettysburg: The Boys in Blue & Gray - Discover the sweeping epic story of the Battle of Gettysburg, as experienced by the soldiers who were there. American Experience: John Brown's Holy War - Martyr, madman, and murderer, John Brown was as controversial and misunderstood in the mid-1800s as he is today. NOVA: Lincoln's Secret Weapon - The Union's USS Monitor was a decisive factor in the Civil War. Now, join a team of Navy divers as they attempt to recover the priceless artifacts. American Experience: The Massachusetts 54th Colored Infantry - The historical narratives and archival photos in this fascinating documentary reveal the real story of the heroic African American regiment dramatized in the movie Glory. America Experience: Reconstruction: The Second Civil War - Spanning the years from 1863 to 1877, this dramatic mini-series recounts the tumultuous post-Civil War years, as America struggled to rebuild. "The story of Big Ben and what became known as The Big Ben 704 Club is one that transcends anything out of Hollywood!" "There have been many documentaries and books written about the USS Franklin, but this is by far the best one I have encountered." The USS Franklin (CV/CVA/CVS-13, AVT-8), nicknamed “Big Ben,” was one of 24 Essex-class aircraft carriers built during World War II for the United States Navy, and the fifth US Navy ship to bear the name. Commissioned in January 1944, she served in several campaigns in the Pacific Theater of Operations, earning four battle stars. She was badly damaged by a Japanese air attack in March 1945, with the loss of over 800 of her crew, becoming the most heavily damaged United States carrier to survive the war. Movie footage of the actual attack was included in the 1949 film Task Force starring Gary Cooper. While I might grudgingly agree with the broad definition, I will fight tooth and nail that the story is far larger. 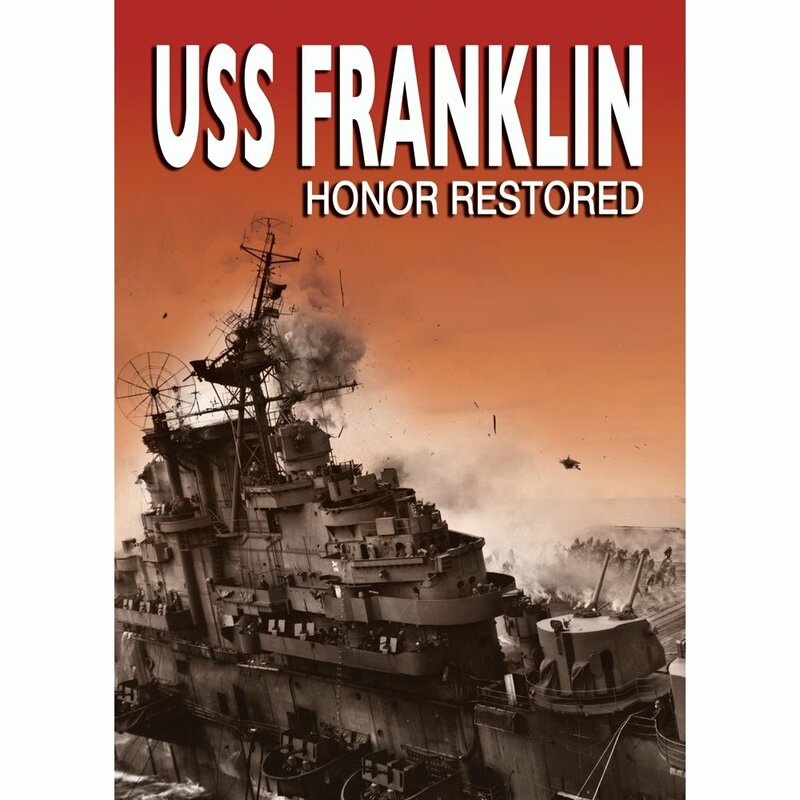 The new DVD release from Janson Media, USS Franklin: Honor Restored is a must watch. This documentary is a little different from most. I have a friend involved in the publishing business, he uses the term ‘living history’. He only publishes books written by people that had a firsthand knowledge of an event. Obviously the film makers behind this DVD share those same convictions. USS Franklin: Honor Restored is a superb marriage of vintage footage and modern interviews with some of the seamen who lived through the gruesome events of March 1945. "If you are interested in history, this is without a doubt one of the finest documentaries about a little known, or understood part of World War II." Blogger News Network 12/3/12 by Simon Barrett. "World War II has spawned thousands of books and movies. Many of which are disturbing. How can man be so cruel to his fellow man? Most of these books and movies tend to look at the big picture, famous battles for example. Many of these works quote staggering statistics about the dead and wounded. But the numbers are so large that it is often difficult to comprehend. What does 4 million look like? What does 1 million look like? To most people these numbers are hard to visualize. I prefer numbers that I can understand. The Wereth Eleven refers to eleven men that needlessly were slaughtered by Hitler’s Waffen SS near Wereth Belgium. It was not about who they were, but what they were. They were eleven men of African-American descent. Although I previously stated that big numbers were hard to deal with, I have to use one. When the US entered World War II there was a need for man power. Over a million men of African-American descent were conscripted into the battle. But one has to understand that the America of the 1940’s was a far different place. Segregation was the name of the game, integration was not to happen for years. As a consequence the African-American soldiers were put into their own units. Maybe the most famous of which are the Tuskegee Airmen. Less celebrated was the 333rd Field Artillery Battalion. There are few members of the 333rd still alive, the Filmmakers did however track down the now 90 year old Staff Sargent George Shomo. His comments are both thought provoking and deeply disturbing. Hitler’s Third Reich viewed people of African origin as “Monkeys, less than Monkeys”. He also goes on to explain some of the friction even with the US hierarchy prior to his deployment to the European theater. I will not tell the story here, it is better that the viewer discover it for themselves. It is better that your hear it from George rather than me. The Wereth Eleven is a very sad story. The setting is the huge conflict known as The Battle Of The Bulge. But the story is far more complex than a mere fire fight. The Wereth Eleven story is so unique that in Wereth, Belgium there exists a memorial. 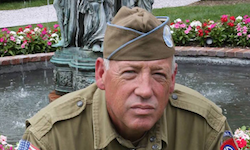 If you are interested in history, this is without doubt one of the finest documentaries about a little known, or understood part of both World War II and our heritage." - Simon Barrett. A few years ago I had the good fortune to be asked to helm a project in Canada called Dominion Day. I knew very little about Canadian military history but dove right in. With the incredible research that had been done by John Wood on the team I was given a binder at least four inches thick and I studied it like a fiend. The material was meticulously put together and I learned the story of how, General Sir Arthur Currie, rose from obscurity to command the most powerful fighting force on the western front, The Canadian Corp.
WWI became real to me and not some distant out of focus story that happened, "over there" in the very distant past. The stories I read were filled with emotion and very real to me and for the film I wanted to make it as vivid to viewers as possible. One of the creative decisions I made was to use, as part of the visual look, colorized stills of iconic scenes. We hired perhaps the best Photoshop® designer in the country and he went to work. He studied the fabrics used, the paint colors on tanks, flags, wall paper and just about everything else. Once he delivered his first colored WWI photo it hit me hard - suddenly the people had life... the days had sun, the grass was green - the story was up close and personal. The production unfortunately decided to go off in a different creative direction as happens with projects and the stills were never used or seen...until now. I have held onto these images as I thought them absolutely stunning and I now believe they should be shared with the world. 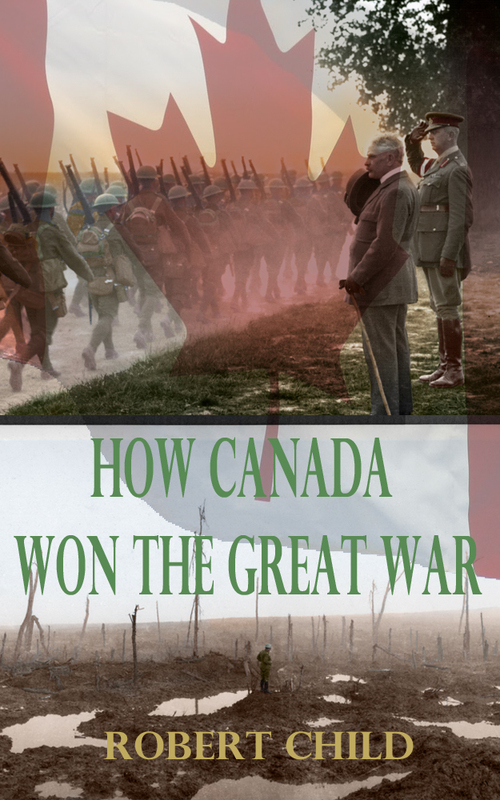 I just released a book based on the script I wrote for the Dominion Day film called, How Canada Won The Great War and these photos are in sequence and follow that story. My favorite photo is the last one in the series and when you see it you'll know why. I hope you enjoy these images and I can say with confidence this is the only place in the world and on the web you will see them. Best wishes and prepare to be transported back in time. I did not want to let this day pass without writing that I had the distinct honor of meeting and conversing with retired Rear Admiral, Earl P. Yates, this morning. He was the first Commanding Officer of the USS John F. Kennedy (CV 67) aircraft carrier. 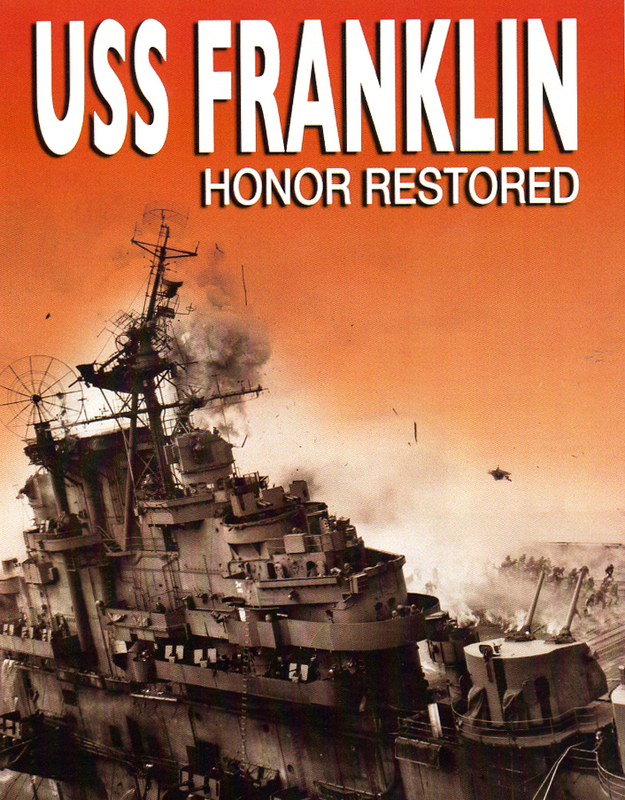 Admirmal Yates had watched the USS Franklin: Honor Restored film last evening and said he truly enjoyed it. In fact he shared a funny story of actually boarding the Frankin, at Ulithi in the Pacific pretending to be part of her crew just because he wanted to see the carrier up close. He is one of the few people I have met in the military who served in WWII, Korea and Vietnam. And on this Thanksgiving I am thankful to men like him who have protected our country on the front lines and served with honor and distinction. The USS John F. Kennedy, nicknamed "Big John." Kennedy was originally designated a CVA (fixed wing attack carrier); however, the designation was changed to CV to denote that the ship was capable of anti-submarine warfare making her an all-purpose carrier. After nearly 40 years of service in the United States Navy, Kennedy was officially decommissioned on 1 August 2007. She is berthed at the NAVSEA Inactive Ships On-site Maintenance facility in Philadelphia, Pennsylvania. Admiral Yates shared with me that hopefully soon the carrier will have a new home as a floating museum at a location in New England. Learn more about the carrier HERE. I was just alerted to two Thanksgiving promotions that are going on that involve my online courses at Udemy and several of my films with Janson Media. So I wanted to pass these HOT deals along to you. First there is the Black Friday promotion at Udemy. Udemy is offering a discount to my online course as listed below. Just click get discount and the 39% Black Friday discount will be applied automatically. Writing a screenplay is one of the toughest tasks anyone can undertake. It can take months even years to craft your story to the point where is can be shopped around. 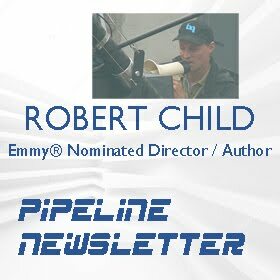 Unfortunately Hollywood is making fewer and fewer movies every year so the odds of getting your story read let alone produced grow slimmer each day. And your screenplay now gathering dust on a shelf or sitting in a drawer is good for just about zero. The only way to reap the benefits of all that hard work is to transform it into something else - a finished product - a Kindle or Nook ebook. Get Discount. A book trailer is one of the fastest growing, powerful trends in promoting books by way of the Internet. It is also one of the cheapest and easiest way to reach your target audience and generate sales via video-sharing sites, websites, blogs, social networking sites and book related sites. Youtube increasingly is becoming the search engine of choice for consumers and having a video about your book on the mega video site is the fastest way for readers to discover it. This course will provide the road map and tools to create a low cost or even free effective book trailer that will start generating discovery and sales. Get Discount. Once created and distributed your book trailer works 24 hours a day across the globe as your most powerful sales tool. This course is designed from the ground up from my experience of funding creative projects and making my dreams a reality since the age of 15. It has not at times been the easiest road to travel but without a doubt it has been the most rewarding. This course gives you the tools and demonstrates the best practices that work in the real world when you want to launch a creative start up. If you have the desire to breakout and start something in the creative field AND want to support yourself while doing it this is your course. We cover the many approaches and ways to get you to your goal including crowd funding with Kickstarter and securing venture capital online. Get Discount. Janson Media is offering all their DVD title for sale on Monday (Cyber Monday at a 50% discount. Janson distributes my films, The Wereth Eleven, USS Franklin: Honor Restored, Lincoln and Lee at Antietam and Silent Wings. You can purchase Wereth for example from Janson at on $12.48 for the DVD that's less expensive than Amazon. I encourage you to take advantage of this one day sale on Monday. Below is a link to their online shop to start your holiday shopping. And to all a very Happy Thanksgiving! Janson Media DVD Store (click to go there now). Last week I had the great pleasure of meeting Binghamton University President, Dr. Harvey Stenger, and speaking before a capacity crowd at the Binghamton University Forum as part of the Distinguished Speaker Series. My presentation was titled, "The Wereth Eleven - An Unknown War Crime" and it was warmly received. And I'd like to take the opportunity to thank everyone who made me feel so welcomed. After the presentation I answered a number of questions from members about the story and the film and everyone really seemed to enjoy the event. Below is a news story from the local Binghamton TV station about the event. I was just notified by our distributor just in time for Veterans Day that our film, USS Franklin: Honor Restored, which I directed and co-wrote made its debut on Hulu today. You can watch the film in it's entirely with limited commercial interruption on Hulu at the link below. All of us on the production team invite you to check it out and tell every veteran you know about it. It is dedicated to them. Read the story about the Franklin. In celebration of Veterans Day I am heading north to speak at the prestigious Binghamton Forum. My breakfast keynote is titled, The Wereth Eleven An Unknown War Crime. 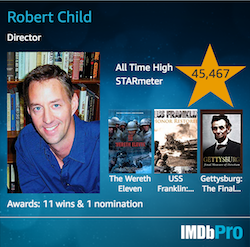 I will detailing the tragic event itself as well as what it took to bring this story from WWII to the screen. The Wereth Eleven was nominated for an Emmy® this year and airs on The Military Channel in February 2013 in celebration of Black History Month. Established in 1977 as the Harpur Forum, the Binghamton University Forum is a membership organization devoted to strengthening the bond between the University and the community. It serves local business, professional and community leaders by hosting events that encourage new thinking, generate discussion and give members the chance to meet some of the most remarkable people alive today. Forum events also provide a rich environment for personal and professional networking. Most of my past award winning films have involved some branch of the American military; Silent Wings (Air Force, Army Air Corps), The Wereth Eleven (Army) USS Franklin: Honor Restored (Navy) and in celebration of veterans and their service I am now making the three online course I have produced at Udemy FREE to register for until midnight Monday night November 12, 2012. You will have as long is you wish to take the course only the FREE registration ends tomorrow night. Give them a try. Courses now available on the iPad. Go here to download the iPad App. Check out the course introductions below for more information and special limited time offers. Register for FREE for this course until midnight November 12, 2012 Click Here. 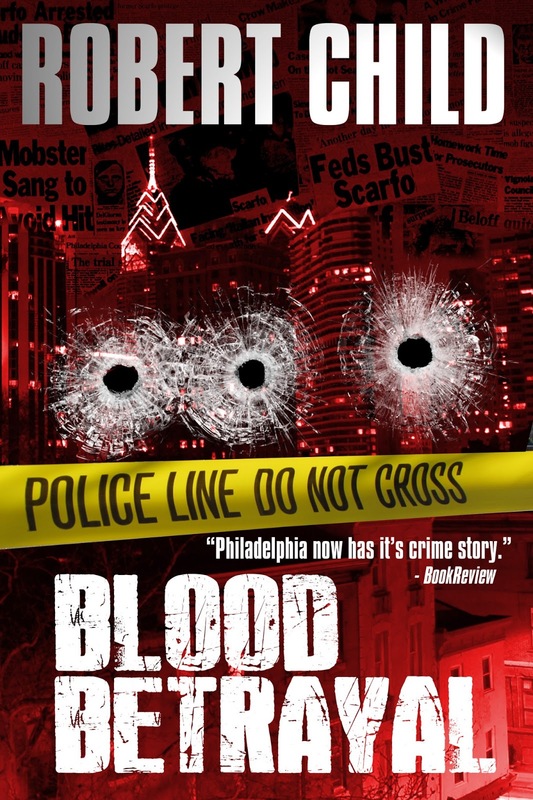 The site features the promo trailer for the film produced earlier this year with actor, Charles Mathers, in the role of Anthony "Ant" Atkinson. A riveting HOOSIERS meets FACING THE GIANTS sports drama, WE BELIEVE is based on the true story of the Barton Bulldogs' remarkable 2007 NCAA Division II national championship season. The team was led by Coach Ron Lievense, a man of tremendous personal faith in God. 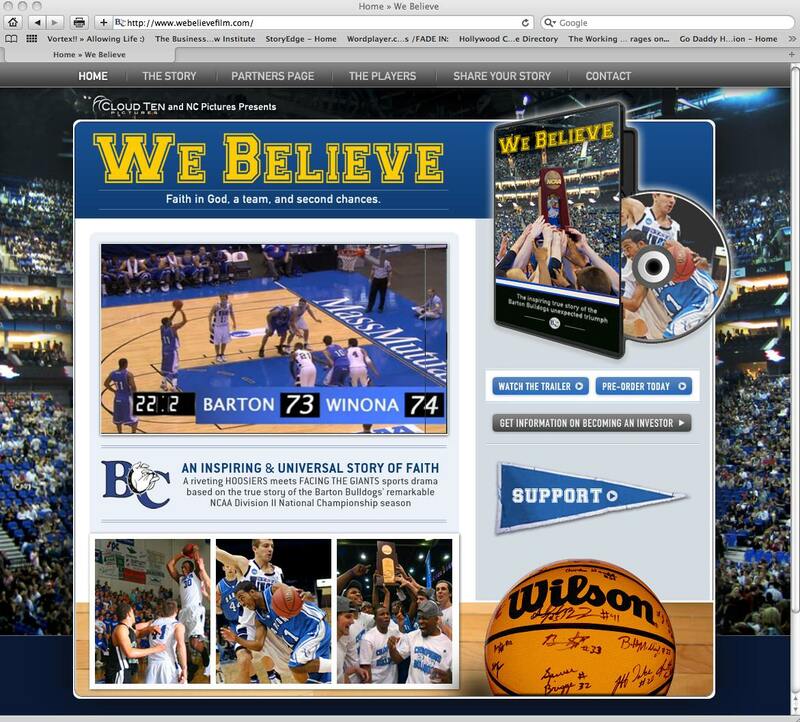 The Barton Bulldogs recovered from a devastating overtime loss, to the eventual national champion Winona State Warriors in the 2006 Elite Eight playoffs, to become a team of destiny the following season, winning a record nine overtime games. In a dramatic rematch, the Bulldogs again faced undefeated, #1 ranked, Winona State for the 2007 national championship. * The third released except from my forthcoming fiction novel, The Russian van Gogh. MI6 Agent, Justin Watson, had seen the text come in on his Blackberry and was hurrying along the rounded corridor to an appointment with Jeremy Lloyd head of the Special Investigations Unit at SIS. Justin, a top international operative, had been with the service just over five years and had heard the rumors about “special investigations” - ultra secret, politically sensitive missions always covert in nature that were never discussed. Arriving at the wing of the department he passes through additional security measures; retinal and voice scans before entering the inner sanctum. Jeremy Lloyd, Justin knew, was a legend at SIS and had been instrumental in bringing on board former KGB agent, Alexander Litvinenko as a consultant for MI5 and MI6. 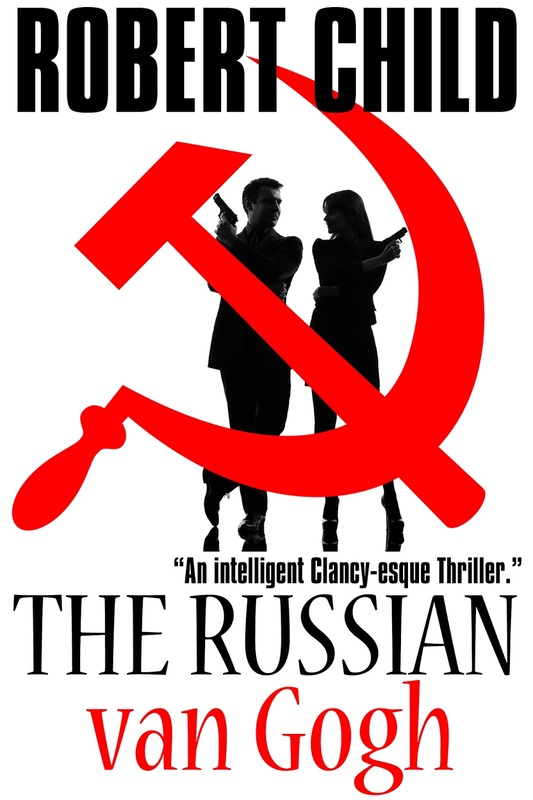 The former Russian agent had provided invaluable intel about the inner workings of the KGB just before his mysterious poisoning death in 2006 from radioactive plutonium-210. If Jeremy Lloyd was heading a new investigation Russia must be involved somehow, Justin thought. “Agent Watson, thank you for coming on short notice,” Jeremy says with a practiced smile and cold handshake as he leads Justin into his expansive office. Scanning the room, Watson is impressed with the art that hangs from the Sector head’s walls – mainly late 19th Century Post Impressionist works. Justin gives the inspector a quizzical look. How did the Red Army suddenly enter into all this? “And this is exactly what happened in Magdeburg, Germany in May, 1945, 150km west of Berlin. There a museum housing priceless works of art was set ablaze after it was emptied of its most valuable pieces during, as luck would have it, an allied bombing raid. Perfect cover for an art heist wouldn’t you say? “One guess, a van Gogh?” Justin asks smugly. Justin flips through the dossier as Lloyd continues. “Respond? Like they always do, with an iron fist,” Lloyd replies unemotionally. “Karpov probably had a buyer already lined up on the black market,” Justin theorizes. “I would bet my life on it,” Lloyd responds confidently. “The Director has empowered me to put together a team to secure the art. 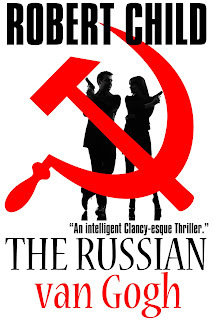 It is a highly covert operation traveling inside Russia. As our leading European operative you will head the team. You’ll link up with our man in Moscow after you connect with the van Gogh museum. “I knew there had to be something more, how much?” Justin asks. *This is the second excerpt from my forthcoming fiction novel, The Russian van Gogh. The book is almost complete at this writing and I will be posting additional excerpts. Riley, in front of her computer with Murphy stretched out at her feet scans the Expedia search result for flights to Corsica. “Ok, Logan to Ajaccio, France, $1486, $1535, for coach?” Hopefully I can get the Corsican authorities to pay for the trip. Jarred by her phone, “Nobody calls me on my landline, must be a sales call Murph.” The dog continues to snooze. The phone continues to ring and finally mercifully stops. “Gave up suckers?” she smiles. From her bag on the kitchen counter the muffled electronic RINGTONE of her cell phone begins. Her brow narrows. She looks over to the landline then back to her bag. She gets up and moves to the kitchen, finds her buried cell phone and presses it to her ear. The familiar voice on the other end speaks haltingly. “I’m sorry, Riley, but this involves something dear to you.” Clarke implores. Riley reflects, she had never heard the chairman of the Harvard Group of Monument Men Foundation so upset, almost unglued. The Harvard Group as part of the Monument Men Foundation was formed in 1940 after the fall of Paris to provide expertise on captured WWII cultural artifacts. They also assisted, to this day, in tracking and recovery of stolen artwork from WWII. Riley had participated in a couple of their forensic investigations but they had never reached out to her so directly before. Hanging up the phone Riley could not imagine what could be so important that Dan wanted to meet tonight. And what did he mean by something dear to me? Riley had known Dan Clarke more than five years after meeting him at a faculty luncheon and discovering that they shared similar artistic passions. He had round silver glasses, white hair and kind eyes. He was the type Riley knew that if he were 30 years younger she’d fall madly in love with him. Arriving at the door in a tan jacket and bow tie Clarke is the epitome of the fatherly academic - kind to a fault but unrelenting in his mission to recover looted art. “Dan, it’s been too long,” as Riley squeezes him with a daughterly hug. Riley nods, still wondering what on earth he could mean as she leads him into her living room. Grabbing some chilled water from the fridge, Riley notices that Dan is drawn to her van Gogh prints. “Thank you,” Clarke responds as Riley hands him the glass. Riley looks at him oddly. Everyone in the art community knew the Red Army had virtually emptied Berlin of anything of value, although it was not widely known to the general public. Dedicated Red Army “Trophy Brigades” carried millions of pieces of art back to the USSR as reparation for German atrocities. Most of it was still hidden in warehouses in Russia and Poland. Riley nods to have him continue. She turns and races over to a large pictorial book on a shelf. Pulling it out she slams it down on a coffee table and rifles through the pages. Tears begin in Riley’s eyes, “Oh my God,” as she turns back to the art book and finds the van Gogh self-portrait. Seven men, including capo, Phil Leoni and Nick Consiglioni, surround a card table. Leoni goes to the door and peers through a hole. Charlie faces the door as Murray waits off to the side. The men hide their guns and slide away the cards. “Yeah, who is it?” Leoni barks. “PHPD. Got a report of a disturbance at this address,” Charlie replies. Murray quickly follows Charlie. The mobsters recognize Murray and deflate. “Gentlemen, what do we have going on here?” Murray interjects, Charlie continues. The mobsters look to each other with blank faces. “Look, Murray, I don’t know what the f***you’re talking about,” Consiglioni shouts. turns and fakes beginning to head for the door. Leoni shrugs, the other men do as well. Leoni folds his arms together, on the defensive. “I see so you broke in, then you’re all f***in’ burglars!” Charlie shouts. pockets not finding any keys. Charlie grabs his shoulder radio mic. Charlie looks over to the men, smiles and clicks the radio mic again. Marlene begins to pace around the kitchen to calm her nerves and continues. Frank wonders if Marlene has truly finally lost her mind. In a glass-paneled office with large file cabinets, a gruff supervisor, European-looking Hans Bauer, 55, thinning blond hair and suspenders, sits across from Murray. Murray’s got a gut feeling. Murray sighs, gets up and begins to leave. Bauer calls after him. Click image above to listen to a sample.